Axis & Allies Research Rolls: Failed Research - Make Sense? Research Rolls: Do They Make Sense? We play with the Research & Development (aka ‘Weapons Development’) optional rule quite a bit now, most recently in Axis & Allies Global 1940. The way we play (correct?) is that if the research has failed (i.e. not rolling a ‘6’) then the research token is still alive and available to roll for again in your next turn. You don’t lose the token on failed research, and thus don’t have to buy another one to roll again next around. Shouldn’t ‘failed’ research mean that the money has been spent and lost? If you win, the token is taken away for future rolling due to it being a success. You spend the money and that money is fully spent (token taken away). How is it then that there is ‘still money left over’ after a failure? To me, if the token it not taken away (needing repurchase next round) there is pretty much zero disincentive to purchase R&D. It’s a 5 IPC risk over the entire game. The Europe/Pacific 1940 rulebooks don’t specifically say what happens to the purchased (and failed) research tokens from what I read. If I look at this forum thread, the OP is stating that the token is lost on failed research (although it is listed in the ‘House Rules’ forum section, so not sure on the context). Another thread seems to hint that you’re ‘spending every round’ for a chance at R&D breakthrough. If your die roll misses, you roll again the next round. And the next, and the next, until you finally get a research breakthrough. Once you finally do, all your research tokens go away, and you get a new technology in their place. Failure: If you do not roll a “6,” your research has failed. Keep all your researcher tokens and continue to the Purchase Units phase of the turn. This text, however, does *not* appear in the 1940 rules from what I can find. So, does that mean that ‘failed’ really means ‘failed’ and you lose those tokens for future rounds? The Anniversary edition (which says you keep the tokens) was released in 2008. The 1940 games were released in 2009/2010. If the latter don’t mention “keep your tokens” specifically then wouldn’t that mean that the ‘failed’ tokens are not to be carried over to the next round in the 1940 games? 1. Does keeping ‘failed’ research tokens even make sense? 2. 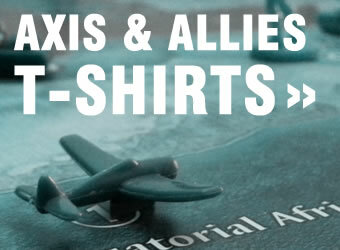 What rules apply for the 1940 (Europe/Pacific/Global) Axis & Allies games? Wow – great questions. I hardly ever play with that rule, for the specific reason that it’s rarely worth it to buy the tokens since (as I understood it) you lose them after a roll regardless of the outcome of the roll. TBH, that makes the most sense to me, but doing it the way you described would make it something much more worthwhile. It is probably too powerful, but since you have played that way, can you give an opinion on the effect on gameplay? It’s nebulous enough to me that it would be worth trying at least as an experiment – but you have probably already conducted it! My gut feeling is that every player would be crazy not to buy a token or two the first couple of turns and then just wait. Once the game is in high gear, probably most players will find the IPC’s too precious to go for more research, but the USA, on the other hand, could afford to buy two or three a turn if they really wanted too. Either way, really interesting “house rule” (maybe official rule) and great questions!!! I always think I have the rules down pat and that they are pretty watertight, then I come across questions like this and realize I still have much to learn! (Yeah, I know, I keep learning this same lesson repeatedly, which is kinda dumb :-)). Thanks for your comment. For us, it makes buying Research a no-brainer, unless you’re really hurting for cash (which, to me, is crazy — it should be somewhat risky). You’re correct, for the US it’s purchased every round without much thought. I think I read somewhere that if you ‘win’ research then you return all tokens and start over, but I can’t seem to find that rule now. If that was the case, it would help somewhat, but still not fully IMO.